Mission San Jose, Fremont. 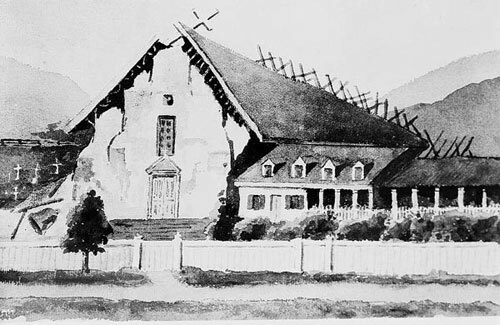 “The old Mission church, which was of adobe, was shaken down, as were several other buildings at the same place.” --Lawson Report, 1908. Image courtesy Library of Congress.